At Dothan Dental Group, preventive care is at the foundation of everything we do. We’d prefer to prevent problems from ever starting in the first place rather than trying to treat serious dental health issues down the road, and we’ve found that most of our patients feel the same way. For most of our patients, we recommend professional cleanings and examinations every six months. In some cases, particularly if we are treating an issue like active gum disease, you may need to be seen more often than that, and if more frequent visits are appropriate for you, we’ll discuss this with you. Regular cleanings and examinations not only give us the chance to check in with you and discuss your current dental health as well as any concerns you might have, but they also give us the chance to get an up-close view of your mouth so that we can look for any potential problems that might be developing so that we can nip them in the bud. Like most healthcare concerns, dental health problems are more easily treated when they are caught early. 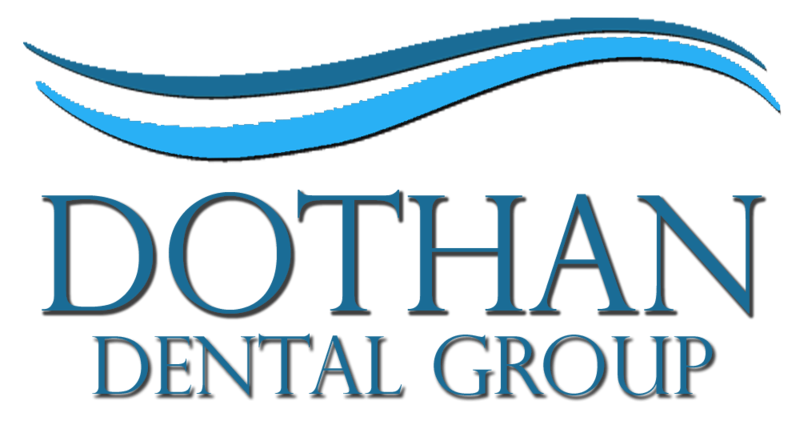 Professional cleanings with the talented dental hygienists here at Dothan Dental Group are your chance for a regular fresh start. Our hygienists will carefully inspect your teeth and gums, removing any traces of plaque and tartar. Even with excellent brushing habits, it’s easy to miss areas of your teeth. Plaque has a tendency to accumulate between your teeth, just beneath your gumline, and in all the little nooks and crannies of your teeth. If the plaque is allowed to remain there, it will harden into tartar, and you will be at risk of developing cavities.